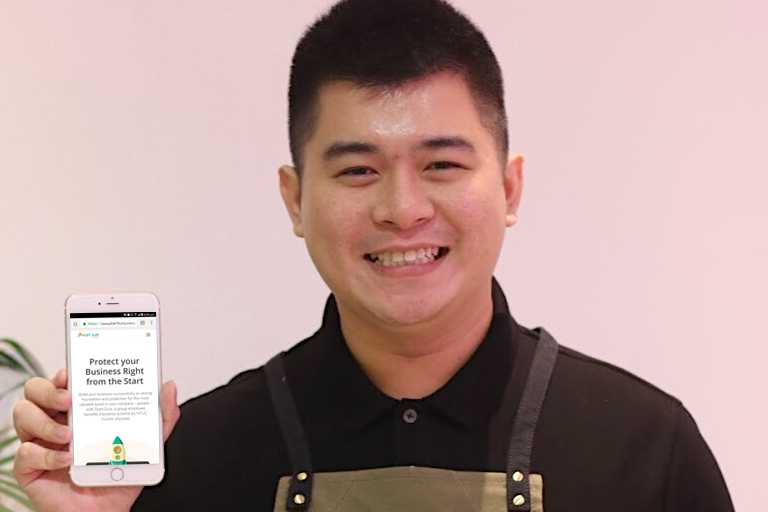 NTUC Income on Nov 1 launched Start.Sure, the industry’s first self-service digital platform, designed for new startups that have been incorporated between one and five years and are employing between two and 15 full-time staff, to not just purchase but also manage employee benefit insurance with ease. Additionally, Start.Sure offers three employee benefit plans – Energiser, Turbo Booster and Super Charger – that cater specifically to meet the employee protection needs of startups at different life stages and scale as they offer employees peace of mind. The insurance plans, which cover pre- and post-hospitalisation and surgical expenses, including kidney dialysis, cancer treatments and out-patient consultation by a general practitioner, require no paperwork and underwriting. Most significantly, the plans offer three-month free coverage for employees should the startups cease operation. Start.Sure complements the development of a dynamic start-up ecosystem in Singapore by supporting startups’ quest to attract and retain talents, as they look to protect their companies’ most valuable asset – employees. Income chief operating officer Peter Tay, describes the launch of Start.Sure as a show of commitment by Income to support Singapore’s young entrepreneurs. “As the name suggests, we aim to be the reliable companion to these budding entrepreneurs so that they are free to focus on accelerating the growth of their companies. The launch of Start.Sure also reaffirms the company’s commitment to be a leading digital insurer as it allows customers to easily find, apply, claim, renew and engage with Income online. Cafebond.com, Asia's largest specialty coffee e-tailer, is one startup that has come on board Start.Sure. Its CEO and co-founder, Keyis Ng (pic, above), said providing essential healthcare insurance coverage is especially important for employees. “Benefits affect employees’ satisfaction in a big way and I’m glad that we have affordable and comprehensive coverage from Start.Sure. The fact that everything can be done digitally on one simple platform is another plus for us since we are always on the move. This will allow us to focus fully on what we want to achieve without getting distracted unnecessarily,” he added. 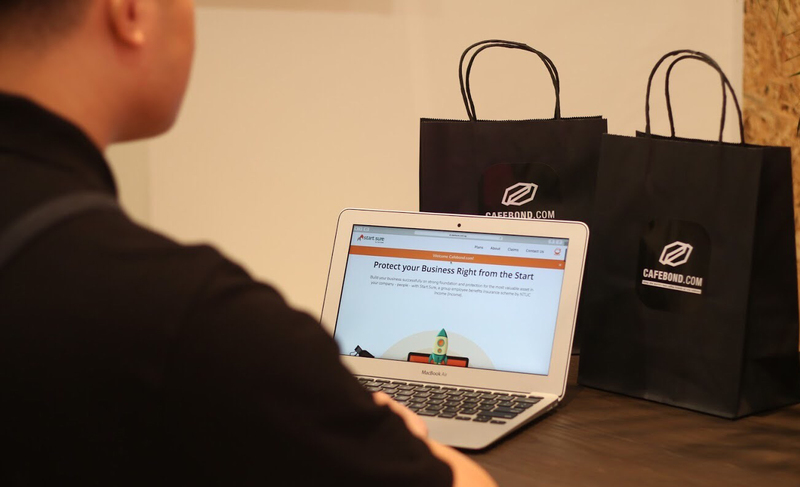 Income will partner NTUC U Startup, which was set up in 2016 to support the startup community in Singapore, to reach out to and raise awareness of Start.Sure among its ecosystem of entrepreneurs. “Start.Sure is an example of how the Labour Movement can provide innovative solutions for startups, thereby improving their business productivity and helping them to attract and retain talents. Our U Startup community has often highlighted this as an area where our support could help them become more successful,” said Vivek Kumar, director of U Startup. The launch of Start.Sure is also in line with Income’s and U Startup’s objectives of helping to grow the startup ecosystem in Singapore. “We wish to build stronger support for startups by leveraging the Labour Movement’s network of social enterprises, Unions and unionised companies, U Associate professional guilds, U SMEs, and e2i, assisting them with our advocacy, training, mentorships and business networking platforms. Eventually, we hope to open new careers choices for our working people in promising start-ups,” added Vivek, who is also assistant director-general at NTUC.